Luna Rising is a publisher of children's books. Some of the books published by Luna Rising include Carlos and the Cornfield / Carlos Y La Milpa De Maiz, My Name is Celia/Me llamo Celia (Bilingual): The Life of Celia Cruz/la vida de Celia Cruz (Americas Award for Children's and Young Adult Literature. 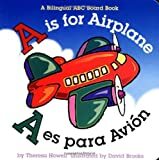 Winner (Awards)), A is for Airplane/A es para avion, and The Three Little Javelinas/Los Tres Pequenos Jabalies: Bilingual.